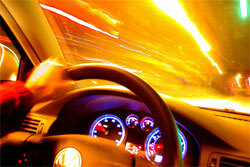 The newly re-tooled Driving Force is NAE’s free bi-monthly topic-centered digest, and companion video series published seven times each year. Driving Force supports NAE’s strategic goal of connecting mid-market CEO’s with thought leaders and subject-area experts. A thought leader’s column & video, written and filmed by the profession’s most respected leaders, sharing perspectives, and encouraging CEO’s to consider and implement new ideas. Recommendations on outside resources providing additional information on the topic. Conversations with side bar authors who share their latest information and expertise in quick-tip form. Information regarding relevant NAE resources and events on the subject. The program’s goal is simple: ensure that all Driving Force readers benefit from the tips, tools and findings presented, and are motivated to implement the information to enhance their business. 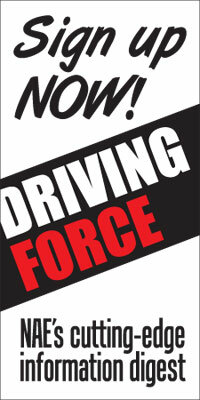 Driving Force subscriptions are free to NAE members and non-members. For a free subscription please fill out the form below. NAE will not share your contact information without your permission. It is our pleasure to hear from you and respond to your questions. You can also reach us by telephone by dialing 800-497-6950.